Confederation Freezers can load and unload any and all shipping containers, we can accommodate intermodal and box cars. All of our facilities are equipped to load or unload palletized, floor loaded, slip sheets or drums. 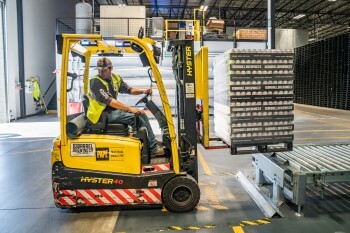 We provide a flexible loading/unloading service that can be ready when you need us, most containers can be loaded/unloaded within 3 hours of arriving to our facility. ● We can apply CFIA inspection seals certifying containers for export .